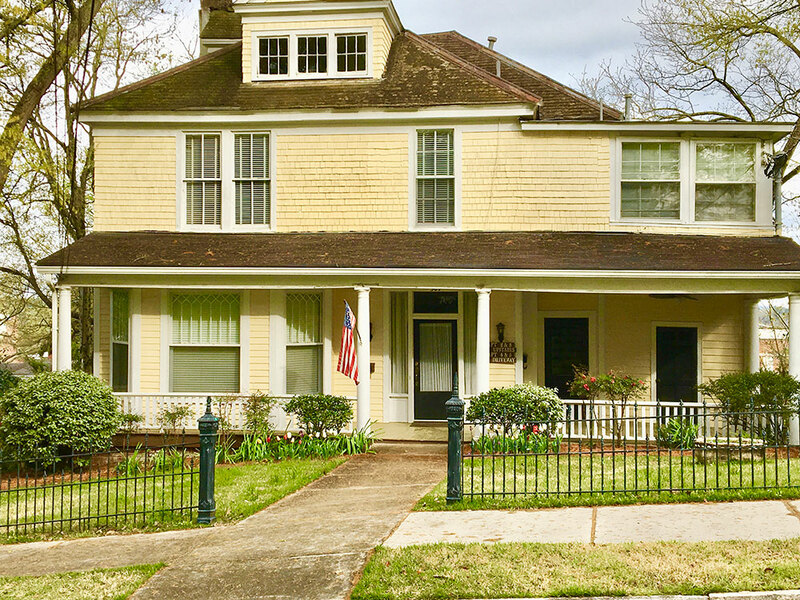 The Lester-Harbin House is a beautiful three-story home located in the heart of Rome, Georgia. Rich in medical and musical history, the house stands tall near the town’s city clock. A news clipping from the Rome Tribune dated October 2, 1888 tells, “Mr. B.S. Lester has built a comfortable and handsome residence on East 3rd St. near Shorter College”. No longer is Shorter College a neighbor of the Lester-Harbin House, long ago moving to West Rome. Afterwards the old school buildings were occupied by the city schools followed by nonprofit organizations and then abandoned to become a decaying storage building that housed antique wooden school desks with benches. Once pigeons and the like moved in, the old school buildings atop the hill were torn down and replaced with beautiful homes encircling what was the old campus. But the Lester-Harbin House still stood tall. Mr. Bannister Smith Lester was a grocery merchant in Rome at the corner of E. 3rd Ave, and E. 1st St. After the flood of 1886 he purchased a lot on E. 3rd and in 1888 built the home which he and his wife occupied with their two daughters Edith and Anna and son Fleetwood. Mrs. Harbin loved music and spent most of her life teaching piano lessons. The beautiful front parlor to the left of the front door is considered the home of the Rome Music Lovers Club founded in 1904. If one sits quietly in the parlor with the sun streaming in through the large windows, piano and violin music are said to be faintly heard. Mrs. Harbin is credited with helping start the Rome Symphony, the oldest symphony in Georgia. Another avenue of rich history emerged from the Lester-Harbin House that changed medicine in Rome, Georgia. In 1905 Edith Lester married Dr. William Harbin. William and his brother Robert built the Harbin Hospital, which was located at the corner of East 1st St. and East 3rd Ave. and has now become Harbin Clinic located on Martha Berry Blvd. Edith and William Harbin had three sons and a daughter. The oldest, William, became a doctor of internal medicine, Lester a surgeon, Tom an ophthalmologist and Mary a musician in her own right, married Dr. Warren Gilbert. Medicine was an integral part of the family and to this day continues with 8 grandsons and 2 great great grandsons in the medical field. Anna Lester died in 1900 of tuberculosis. After Edith Lester married William Harbin in 1905 they lived in the Lester House until their deaths. The second floor porch built specifically for Anna’s use for medicinal strength became the sleeping porch for the 3 young lads and their sister. Today if you look up to the porch you can see the warm rays of sunlight that shown on Anna’s porch, and can her spirit be seen? 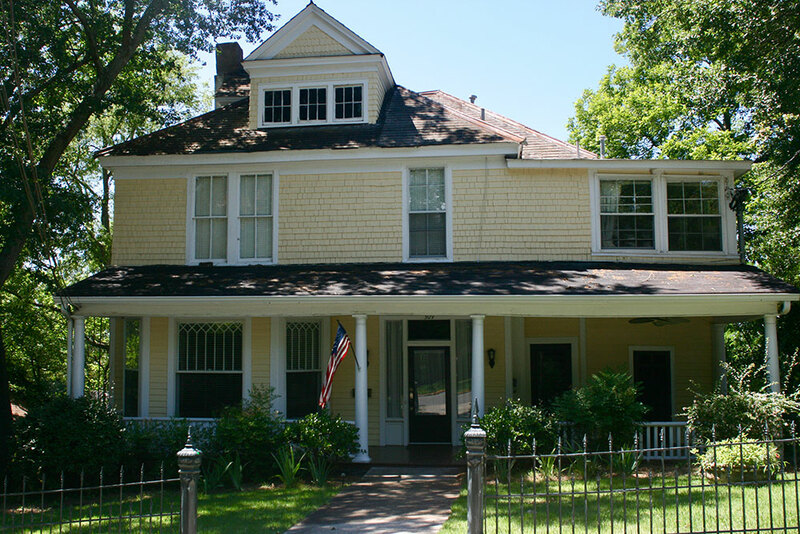 After Edith Lester Harbin died in 1960, the family sold the Lester Harbin House to a prominent local businessman, Robert Wyatt. Bobby, as he was known, turned the home into five apartments. Fortunately, he preserved many of the wonderful old characteristics. 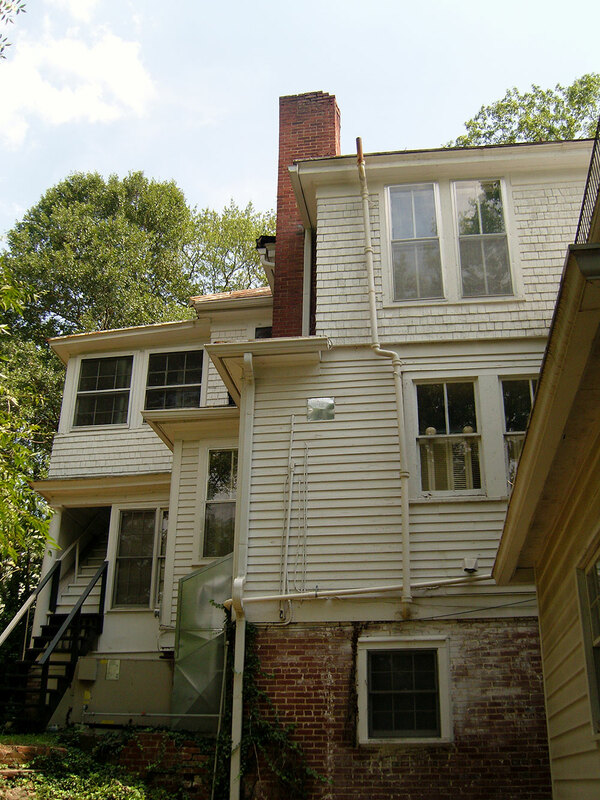 Bobby’s sister, Nell, lived on the spacious main floor apartment. More than likely she as generations before enjoyed the high ceilings, spacious room, heart pine antique floors and the lovely parlor. After Bobby Wyatt’s death, his nieces and nephews inherited the property and kept ownership until their Aunt Nell decided to move to another location. 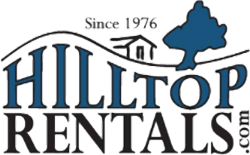 In 2000 Hilltop Rentals acquired the property and is extremely proud to list such a beautiful historical home as its signature property The Lester-Harbin House.